Some days you can’t get rid of a bomb. 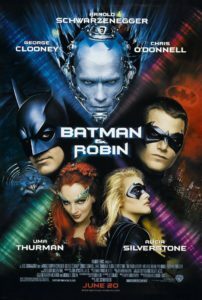 Between top-billed Arnold Schwarzenegger’s nonstop one-liners as Mr. 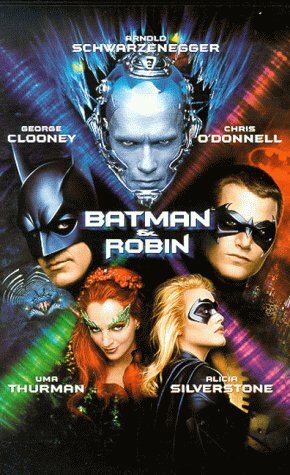 Freeze, clearly bored George Clooney as Batman, Alicia Silverstone’s non-existent British accent and a Bat Credit Card there’s something for everyone in this so-bad-its good movie from Joel Schumacher. The riffing team of Cinemasochists will bring the jokes in the tradition of MST3K, plus take a look behind the scenes at the making of this hilariously bad franchise killer.